Ridgefield’s Matt DeLuca grabs a rebound during Friday’s game against Wilton. Fittingly, the Wilton fans had no response — by that point it was clear their team had no answers for how to contain James St. Pierre and the Ridgefield offense. 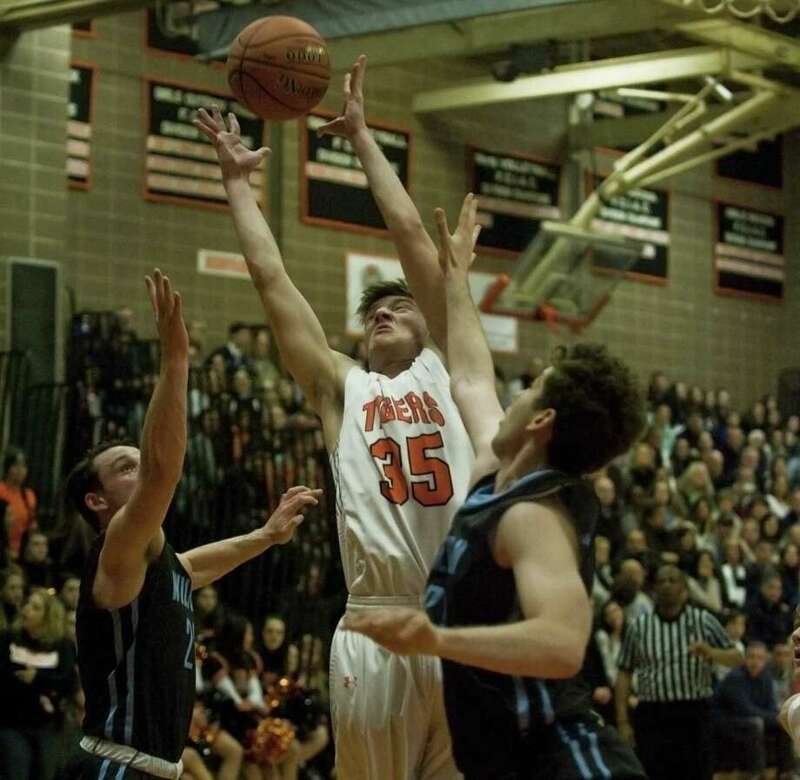 Despite being double-teamed whenever he got the ball, St. Pierre scored 23 points to lead the Tigers past Wilton, 62-44, on Friday afternoon at a packed Ridgefield High gym. Ten of St. Pierre’s points came in the second quarter, when Ridgefield outscored the Warriors, 17-5, to open a 35-19 halftime lead. Ridgefield played without starting center Derek Szpakowski, a 6-foot-3 junior, who is out for the rest of the season with a broken leg suffered against Darien last week.